Deputy Secretary-General Amina Mohammed addresses the Economic and Social Council's third Financing for Development follow-up Forum. The United Nations will support countries’ path to sustainable development by brokering partnerships, pursuing innovative finance, leveraging resources and building the necessary capacities, senior officials said Monday, highlighting the need for a change of mind-set from “short-termism” to long-term investments. “I will count on world leaders and all of you to invest in a sustainable and prosperous future for all,” Secretary-General António Guterres said in his video message to the opening of the financing for development follow-up forum in New York. The forum, organized by the UN Economic and Social Council (ECOSOC), will discuss the main findings of the 2018 report of the Inter-Agency Task Force on Financing for Development, which provides a first assessment of progress made in such financing. “Mobilizing financial resources is crucial for advancing human well-being and achieving the Sustainable Development Goals (SDGs),” said Mr. Guterres, who will convene a High-level Meeting on Finance in September. 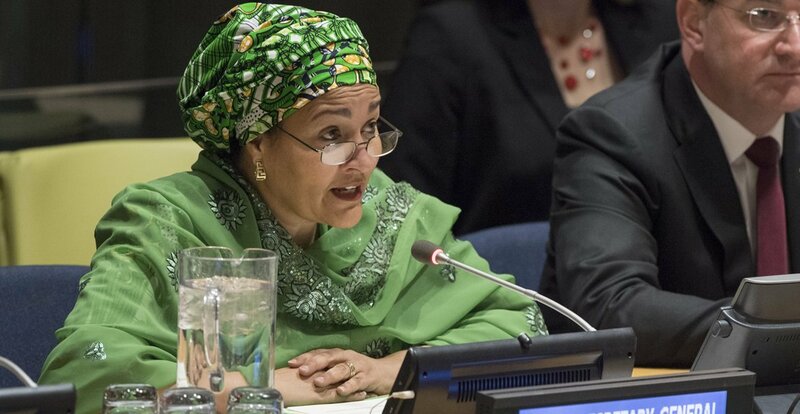 Deputy Secretary-General Amina Mohammed, in her speech to the Forum, underscored several areas for attention. “Domestic resource mobilization is fundamental,” she said, stressing the need to unlock domestic capital and fight tax evasion, money laundering and illicit financial flows that erode domestic resource bases. The deputy UN chief also highlighted the critical importance of development cooperation to supporting SDG implementation, calling on governments to meet their commitments on official development assistance. Further, she called for a global environment supportive of long-term investment. “Short-termism is a persistent threat to successful poverty eradication efforts,” she said, explaining that most corporate executives – according to the recent Inter-Agency Task Force report – say they would delay investments in projects with positive returns in order to hit quarterly earnings targets. “This mindset needs to change,” she stressed. Ms. Mohammed also urged the international community to find ways to speedily unlock resources and access to finance for countries with urgent needs, such as those affected by crises or disasters. Although there are some innovative solutions being devised in this area – such as insurance-like mechanisms that can be supported where needed, or loans that reduce repayment during crises – many of these are yet to be implemented or taken to scale, she said. Also, the global community must dramatically scale up investments, she said. For example, to achieve universal access to clean water and sanitation, there is a need to triple the amount spent to around $114 billion per year. Finally, she said, governments and partners from the private sector must work more effectively to overcome current financing challenges. General Assembly President Miroslav Lajčák said that the investment gap in developing countries alone is some $2.5 trillion per year for major SDG sectors, given the much-quoted SDG price tag of $7 trillion per annum. Miroslav Lajčák, President of the seventy-second session of the General Assembly, addresses the Economic and Social Council's third Financing for Development Forum, held during the 2018 session at UN Headquarters in New York. “The Forum provides opportunities to dig deeper into questions of supporting implementation,” he added. On Sunday, the UN Department of Economic and Social Affairs organized the SDG Investment Fair to provide a platform for direct interaction between 100-150 participants representing governments of developing countries, private sector investors, financial intermediaries and other relevant stakeholders. Marie Chatardová, ECOSOC President, said that a greatest challenge policymakers face in raising resources for sustainable development is excessive short-term decision-making in the private sector as managers’ compensation is often tied to short-term performance measures and benchmarks. But “an increasing number of asset managers and owners have committed to integrate ESG criteria in their capital allocation process,” she said, referring to environmental, social and governance (ESG) indicators that have a material impact on returns. 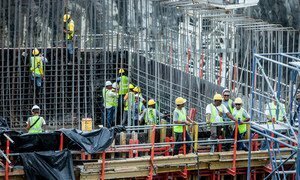 While a moderate upturn in the world economy led to more development financing in 2017, a new United Nations report out Friday revealed that the vast majority of investment is still short-term oriented, putting global commitments to create sustainable economies at risk.